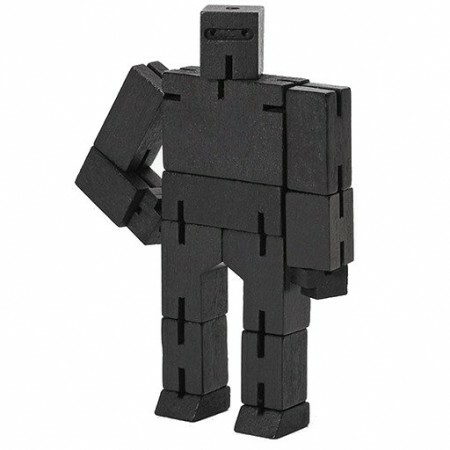 Meet Cubebot, a non-traditional take on the toy robot inspired by Japanese Shinto Kumi-ki puzzles. 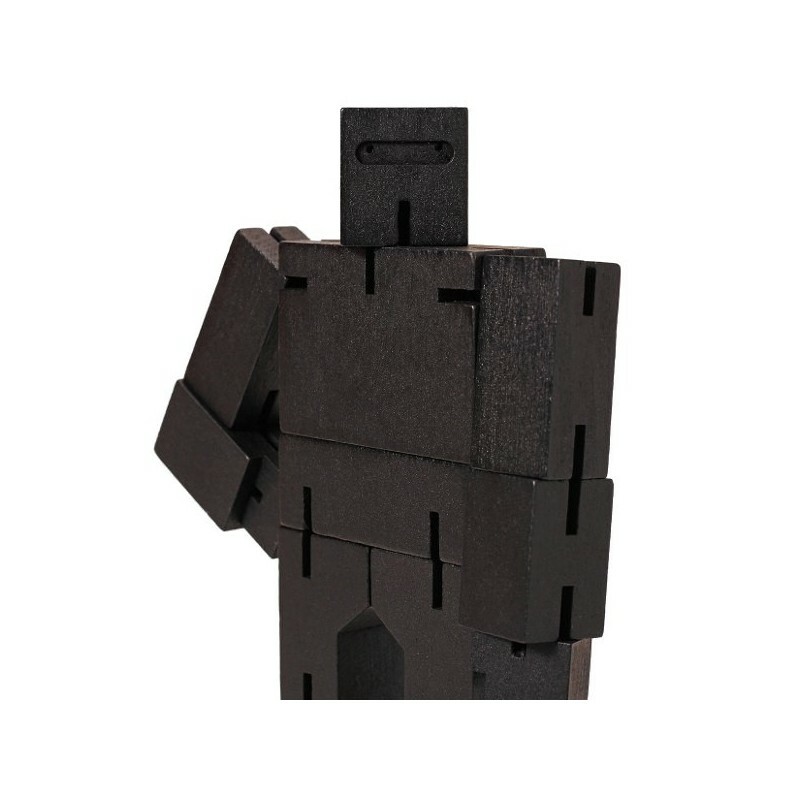 Cubebots's powerful hardwood frame can hold dozens poses, and his elastic-band muscles and durable wood limbs make him impervious to breakage. When it's time for him to rest, he folds into a perfect cube. An enduring classic that will withstand generations of play. Suitable for ages 3+. Black colour. 11cm tall with 15cm arm span (at play); 2.5 x 2.5cm cube (at rest). 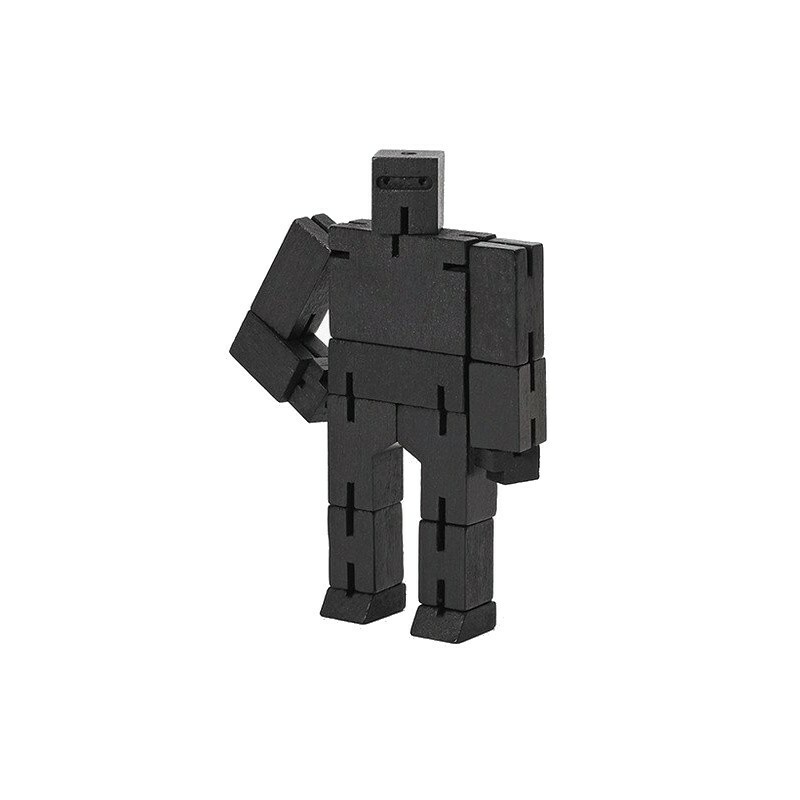 I bought one of these at an art gallery shop ... he has been my constant companion ever since. I love it ... so easy to put into such expressive poses and very durable. There's nothing like the feel of wood! Some how it is just a lovely, relaxing toy.